Senator Conroy is proposing Australian media reforms that will have deep impacts on all of our working and personal lives across all media. Here are a few concerns raised by media analysts this week to bring you up to speed. ABC TV program Media Watch available on iView does a sterling job of explaining the lay of the land and the major tensions at play. Well worth watching. The Script Sessions is a program of intensive one-day script workshops with professional screen writing Editor and Analyst, Karel Segers slicing and dicing screenplays to bring out the best in each story. Five writers will be chosen for each workshop to present their scripts for analysis, with 10 spots reserved for participants who want to learn from this process by observing the transformation. The Australian Directors Guild [ADG] and Screen Australia launched the Directors Attachment Scheme last week, a new industry incentive for emerging feature film directors to develop their craft. Funded by Screen Australia and managed by the ADG, the scheme will provide three director’s attachments annually, beginning with director Kriv Stender’s new film Kill Me Three Times to be filmed in Western Australia. Every month Metro Screen flings open the doors to anyone interested in digital media, film or television projects or career pathways. Metro Screen is a one-stop-shop industry development hub driven by creativity not-for-profit. Funding, training, equipment and networking departments work full time to develop visions in to screen content. The April Open House Info Session will feature Editing master Jas Shennan. Jas Shennan has more credits than most editors in this country - he is the editor for Masterchef, Top Gear Australia, Secret Millionaire, Location Location Location and The Biggest Loser. Jas will be at the April Open House, a free event for people at all levels to peak behind the curtain, have a sticky beak at the facilities and ask all the questions you like. The Production Manager runs the day-to-day production – logistics, contracts, office and practical operations. They report to the Producer who works hand in hand with the Director to bring the vision to life. Production Managers are very much in demand, they are the backbone of any successful production and get noticed in the industry. This part time short course is accredited and will give you the confidence to know what you are talking about in potential job interviews. Our tutor Heather Oxenham will utilise her wealth of experienc in both commercial and independent productions to guide you through how to become an effective Production Manager. Good Editors are in demand, if you want a job in television or a decent professional production house you’ll need to be able to use AVID Media Composer. 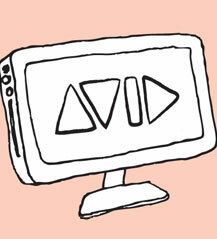 It’s the preferred software of many professional editors, especially in television. Look Ma I’m editing Neighbours! In just 4 days you’ll have a basic introduction to editing using AVID part-time in a small class on computers with the latest versions and a teacher that has been making real TV shows for over 40 years. With over 30 years of industry networking and hands-on training, we have your operator and technician needs covered. Only the best and experienced operators are sent out on jobs so you can rely on trained reliable crew to get the job done. We can cater for any scale of production with skilled camera operators, sound recordists, lighting technicians, editors and graders. 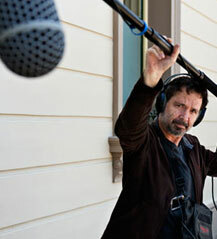 Give your production the professional and creative edge from $55 - $65 per hour. Get an instant quote here or call the Metro Screen Hire and Post Production team to talk through your requirements and get a customised quote on 02 9356 1818. Hickson Productions produces the award wining national TV show Horse Talk TV. We are in our 4th year of production and specialise in equestrian content, with our TV show broadcast nationally across Australia and in NZ, USA & Dubai. We have a one day film shoot for a live harness racing event in Gunning, Southern NSW on Sunday 31st March 2013 & need 2 camera operators. 1 experienced main camera operator & 1 assistant student camera operator. In a prime time, half hour documentary series on ABC2, Opening Shot gives up to six young directors, [aged 35 years and under], the chance to reveal something surprising about life in Australia today, and to ‘fire an opening shot’ into the national conversation. This week Sonya and Al take a foreboding journey to the south, attend a school for children with very specific skills and experience the horrors of war from a legend of the industry with reviews of Severed, Five Weapons and Last Day in Vietnam. Plus Ray brings along some of the best looking DC statues we’ve ever seen. All thanks to Kings Comics and Lovesac Australia. From the director of Notting Hill & Venus, Hyde Park on Hudson blends comedy and drama in telling a true story that uniquely explores the all too human side of iconic leader, Franklin D Roosevelt [Bill Murray]. It centres around the weekend in 1939 when the King & Queen of England visit upstate New York to ask the US for help on the eve of WWII. Bill Murray was nominated for a Golden Globe: Best Actor Comedy or Musical for his performance as FDR. In the dying days of Edwardian England, English aristocrat Christopher Tietjens finds himself marrying Sylvia, a beautiful but cruel socialite who is pregnant with a child who may or may not be his. Christopher is determined to remain loyal to his wife, but his life is transformed the day he meets Valentine Wannop, a fearless young suffragette. The world has never been more perfect. It is no longer your world. What if everything you love was taken from you in the blink of an eye? The Host is the next epic love story from the creator of the ‘Twilight Saga’, worldwide bestselling author Stephenie Meyer.